Casper and Lucky are looking for a home! Home » Casper and Lucky are looking for a home! Casper and Lucky are now ready for adoption! These two sweet cats came into our care when their owner Stanley passed away suddenly last month. 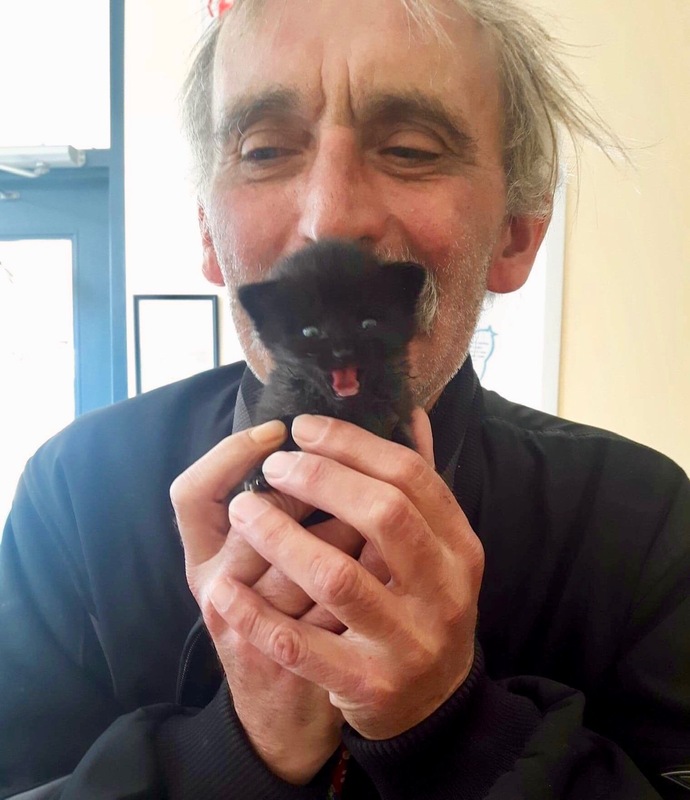 Stanley was a long time client and friend who stopped in frequently just to say hi, and visited daily to cuddle our bottle-feeder kittens last winter, so his face may be familiar to many of you. 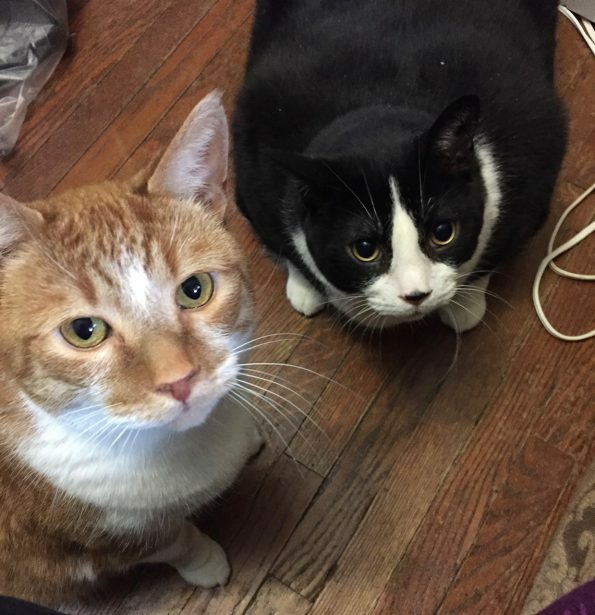 His boys Casper (black & white) and Lucky (orange tabby) are 8 and 5 years old respectively. Casper was originally adopted as a kitten from our adoption program, and Lucky was a stray kitten who adopted Stanley. 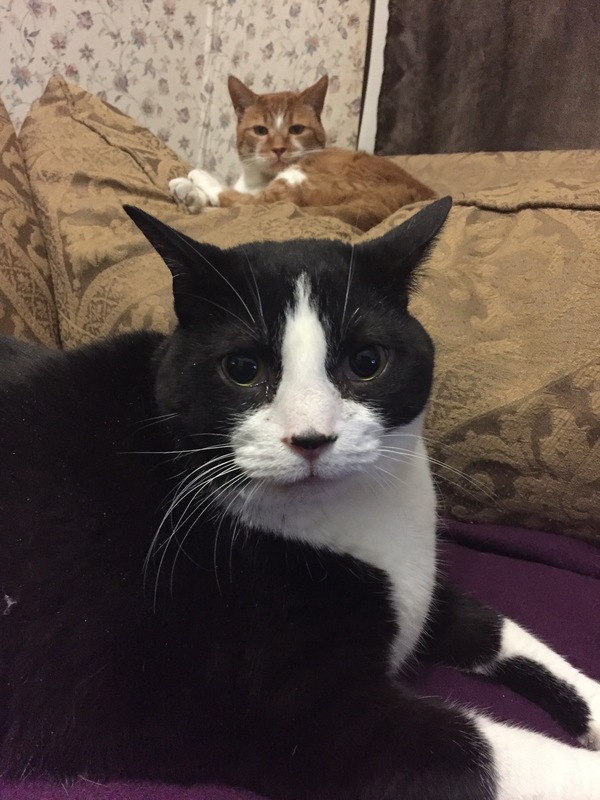 The boys understandably were very stressed after losing their dad and finding themselves in a shelter, but after a few weeks being fostered by one of our clients (thank you! ), they are completely back to their wonderful happy and healthy selves. They are both social and sweet mannered boys, who love company, cuddles and belly rubs. 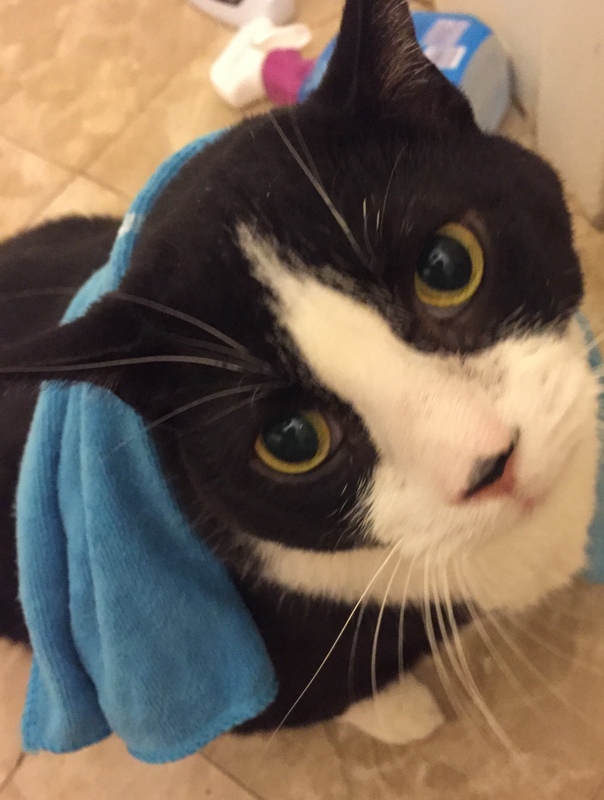 Lucky likes to investigate and play, while Casper likes to sit near you, but both boys will follow you around the house to spend time with you. Casper is a “BIG BOI” – he weighs 29.7 pounds! Lucky is no lightweight either, but weighs a more reasonable 14 pounds. 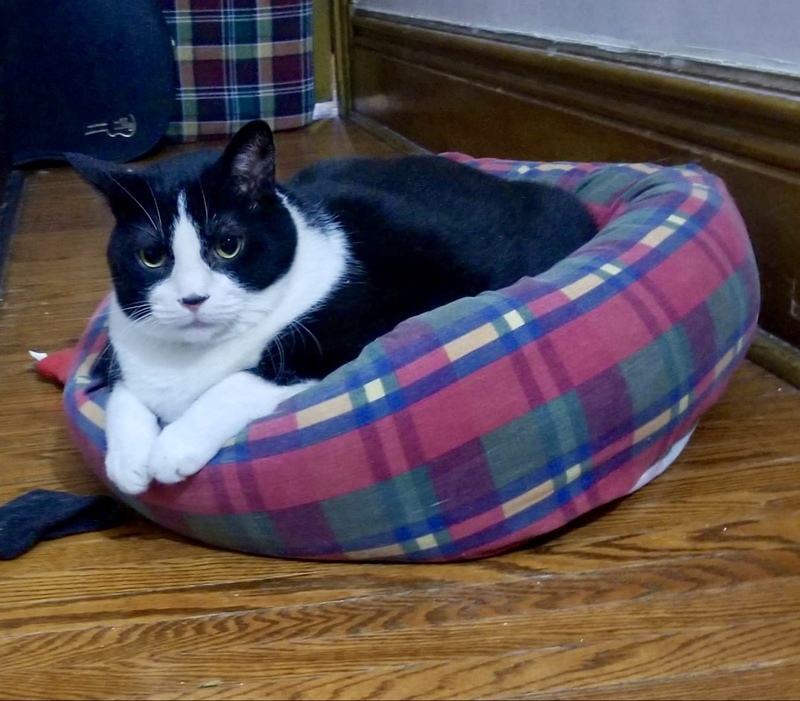 Casper had a urinary blockage last spring, and had to have surgery to remove bladder stones, so the boys will need to eat a veterinary diet designed for urinary protection for the rest of their lives, to prevent that from happening again. Weight loss definitely is a priority for Casper though, so we are excited that Purina Canada​ has offered to provide 6 months of weight loss/urinary protection canned food for the boys, to kick start their healthy diet! An unusual and important benefit is that Casper and Lucky both have Trupanion​ pet insurance policies, which have been in place for many years, and as long as the boys are adopted before the coverage lapses (Trupanion is keeping an eye on this for us), the company will allow those policies to be transferred to their new owner. 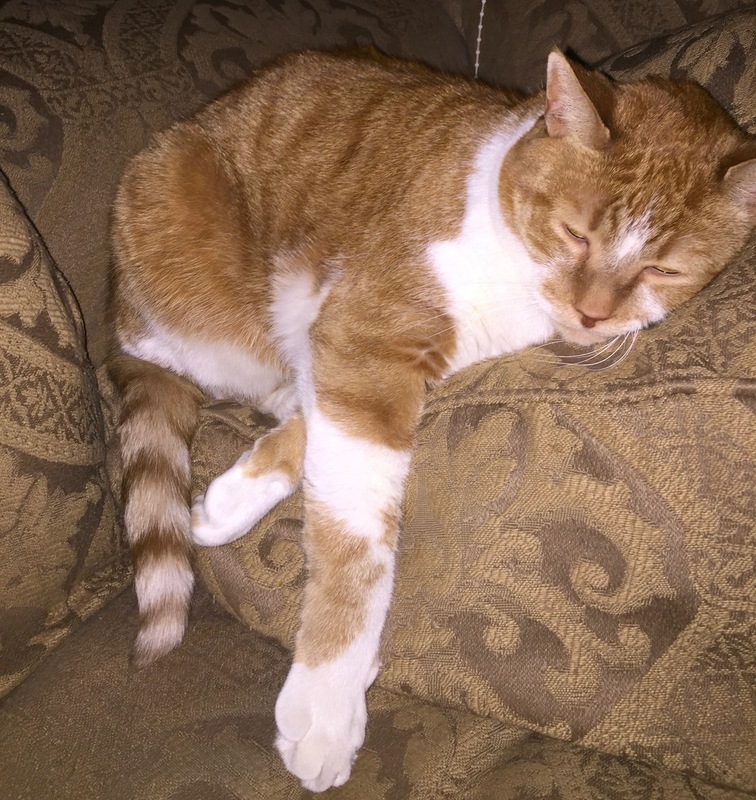 We very strongly recommend that their adopter continues their policies, since if Casper ever has urinary health issues again in the future, those would be then covered by his pet insurance. Casper and Lucky are easygoing boys who would make wonderful companions for a lucky person or family. They are indoor-only, and are so gentle that they should be fine with children. We don’t know specifically how they are with other cats and dogs, but don’t have any reason to suspect they would not adjust, provided that all pets go through an appropriate introduction period. Both boys are up to date on their exams and vaccines. Do you have room in your home and your heart for Casper and Lucky? If so, please give us a call (416-538-8387) or send us an email ([email protected]) and we would love to give you more details!